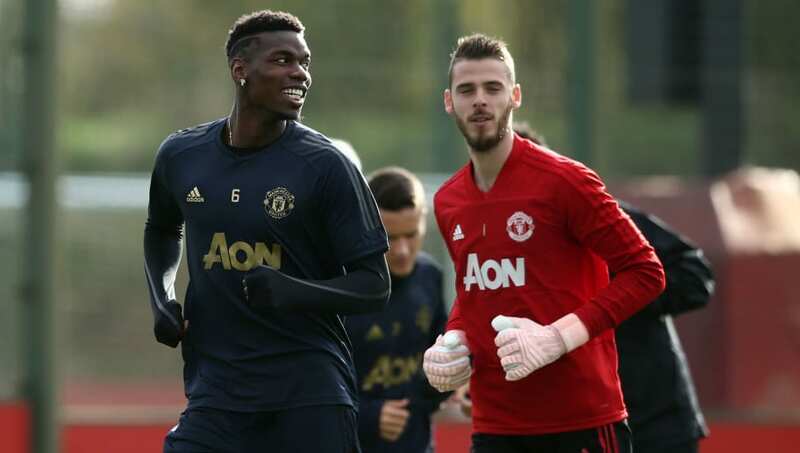 ​With the summer transfer window approaching, Manchester United have decided that keeping David de Gea and Paul Pogba at the club is their main priority. Both players have been linked with big-money moves to Real Madrid as part of Zinedine Zidane's squad overhaul. De Gea is nearing the end of his contract, whilst Zidane has spoken publicly about his appreciation for Pogba. However, according to ​The Mirror, ​United have no interest in parting ways with either player, and will prioritise retaining the ​Real targets over making any new signings. A source close to the club said: “It doesn’t matter which clubs are interested in our players, this is Manchester United. There is only one message: ​Paul Pogba and ​David de Gea are not for sale. De Gea's contract is set to expire at the end of next season after United were forced to automatically extend his deal to prevent him from leaving for free this summer. He is said to be demanding a new £350,000-a-week contract, similar to the high wage currently being paid to ​Alexis Sanchez. As for Pogba, the World Cup winner recently admitted that ​playing under Zidane at Real would be a dream, leaving many fans fearing he could push for an exit this summer. United have been linked with huge moves for the likes of ​Napoli's Kalidou Koulibaly and ​Borussia Dortmund's Jadon Sancho but, whilst they are still keen to bolster their squad, they will focus on retaining their stars as they seek to reestablish themselves as one of Europe's elite sides.